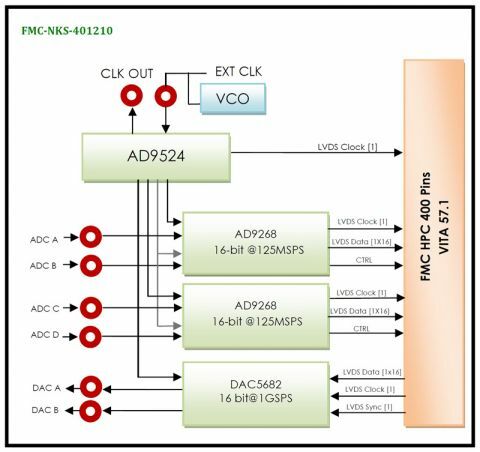 The FMC-NKS-401210 is a four-channel 16-bit ADC at 125MSPS synchronous and maximum sampling rate and dual channel 16-bit DAC at 1GSPS synchronous and maximum sampling rate. This module was designed based on dual-channel AD9268 ADC of Analog Device Company with DDR LVDS or CMOS outputs and dual-channel DAC5682 DAC of TI Company with DDR LVDS inputs. 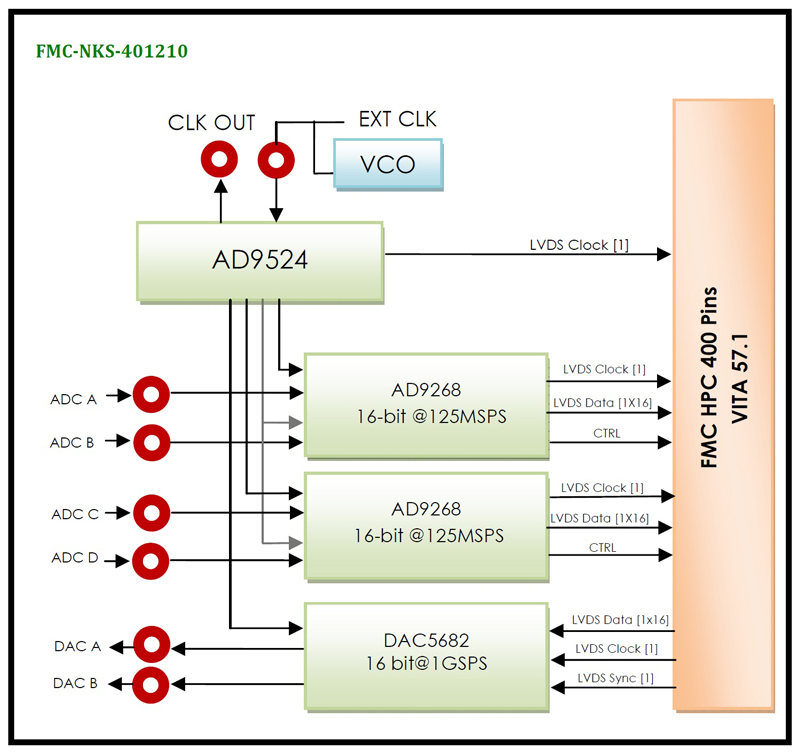 Because of containing a FMC-HPC connector, FMC-NKS-401210 is mechanically and electrically compliant to VITA 57.1 standard. Controlling of clock source, sampling frequency and calibration by a SPI BUS are its other features. The sample clock can be supplied from PLL clock generator, externally through a coax connection or supplied by an internal clock source (VCO). 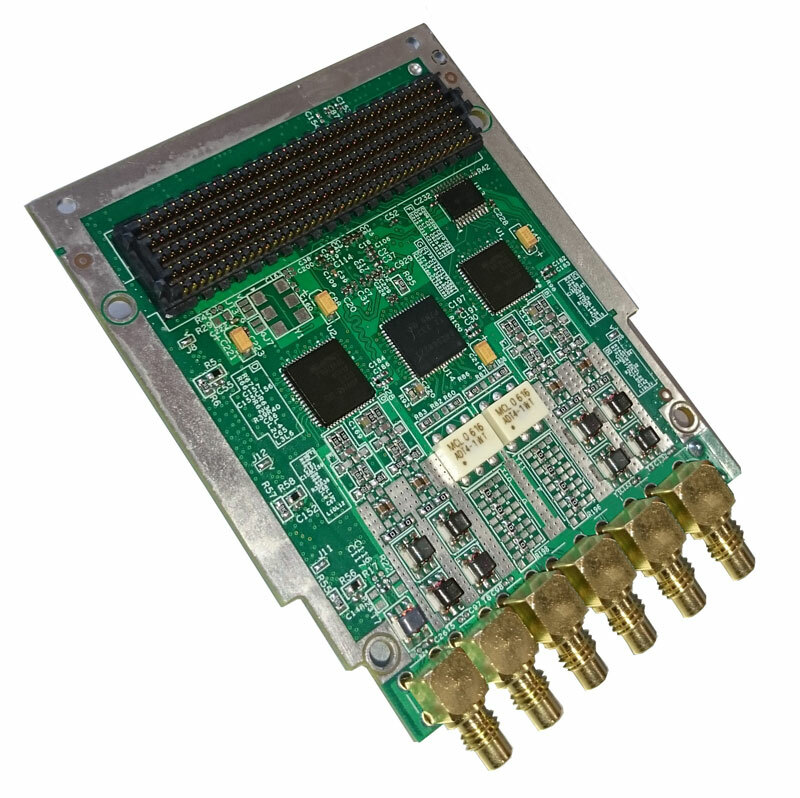 This module can use on every carrier card which follows the VITA 57.1 standards; therefore it can have the maximum data throughput and minimum latency.